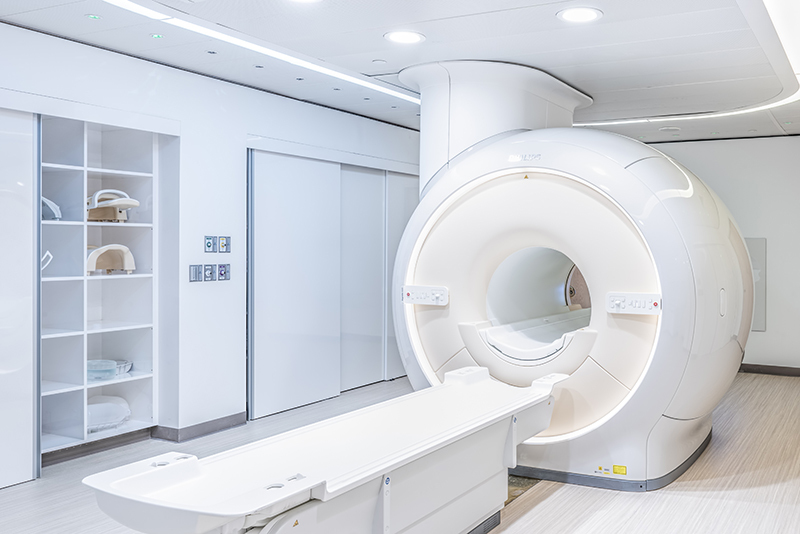 The Massachusetts Eye and Ear Infirmary’s MRI Suite is dedicated to providing superior imaging services for the detection and diagnosis of disorders in a caring, safe and convenient environment. 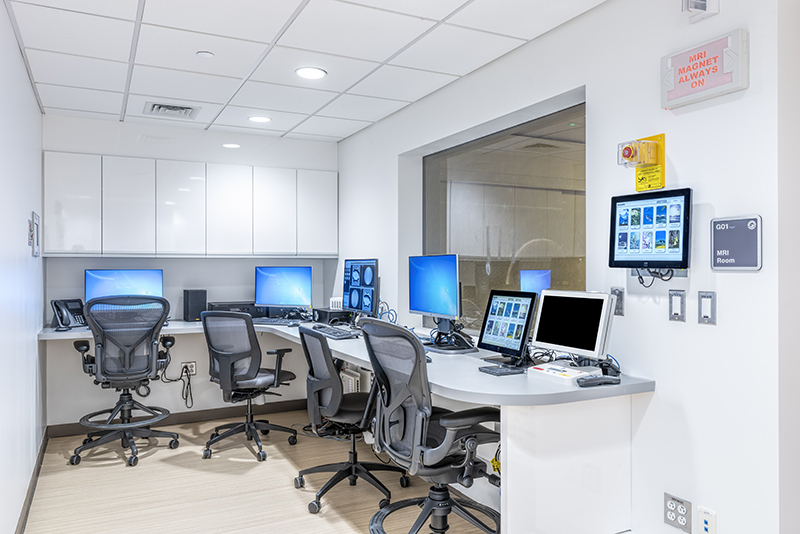 Formally used as office and gift shop space, the new suite features the shielded MRI room, a control and computer support room, and a patient seating area with changing room. 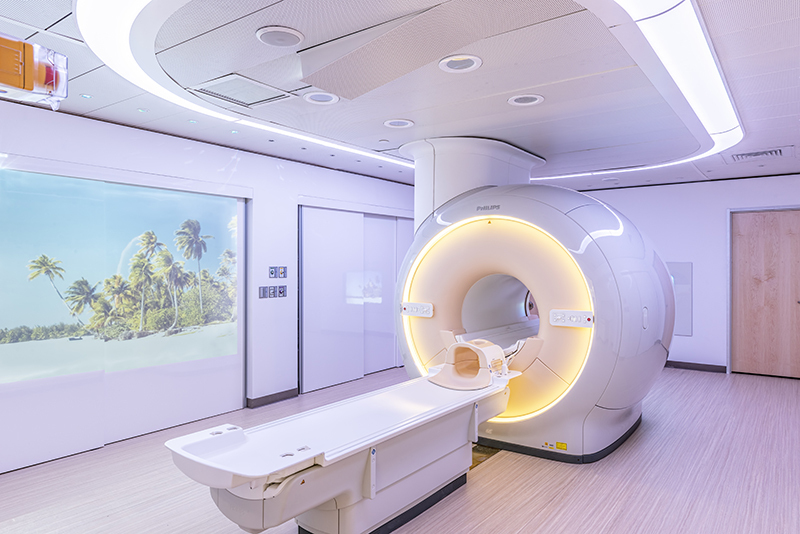 With Phillips Ingenia 3.0T MRI system at the center, the new suite offers premium image quality with digital clarity and speed that is currently at the forefront of clinical excellence. 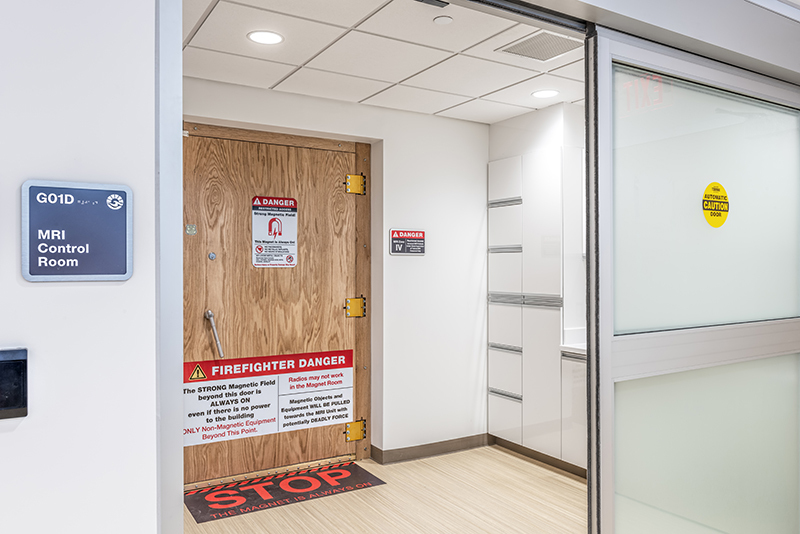 The new location of the MRI suite is adjacent to the infirmary’s busy lobby, which made it vital for Wise Construction to adhere to the project’s 20-week timeline. The existing MEP systems in place to maintain the entire hospital needed to be removed and reworked. The space’s low ceilings that compressed all mechanical equipment, and a raised floor system that had to be replaced with post and beam flooring posed a challenge to the team. In addition to the creation of an exterior wall, installation of new RF windows, doors, and millwork, the Wise team had to pace a new 3 ft. thick slab to accommodate all of the galvanized steel shielding. Silicon steel was then installed on top of the shielding to protect the floor above in order to eliminate the possibility of the magnetic field penetrating the second floor. All materials used throughout the project were non-ferrous, and the room was tested and validated for the shielding before the magnet could be brought in. In the end, close coordination with the design team, the team at Mass. Eye and Ear, and all associated subcontractors and vendors lead to the successful completion of the project in the accelerated timeline.